GIZ has provided support for the water sector reform process in Zambia for many years. In February 2019, the Accelerated Water and Agricultural Resources Efficiency (AWARE) Programme was launched with funding from BMZ as well as the EU Delegation to Zambia with the aim of supporting water resources management in Zambia at national and decentralised level in the Lower Kafue Sub-Catchment, while supporting smallholder farmers in the sub-catchment with improving agricultural water management and irrigation. 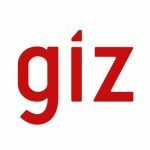 The successful candidate will be expected to start employment with GIZ, on a full-time basis, as soon as possible. The contract will be for a fixed term with a possibility of renewal. Interested candidates must send the CV and a cover letter electronically, quoting the reference GIZ_AWA_ADV2 in the subject line to: [email protected] by 17:00 hrs on Wednesday, 24th April 2019. Certificates, qualifications, etc. must not be attached to the application. In addition, traceable references of previous engagements must be provided. Please note that only applicants selected for interview will be contacted. GIZ is committed to being an equal opportunities employer. Therefore, women and people with disabilities are strongly encouraged to apply.